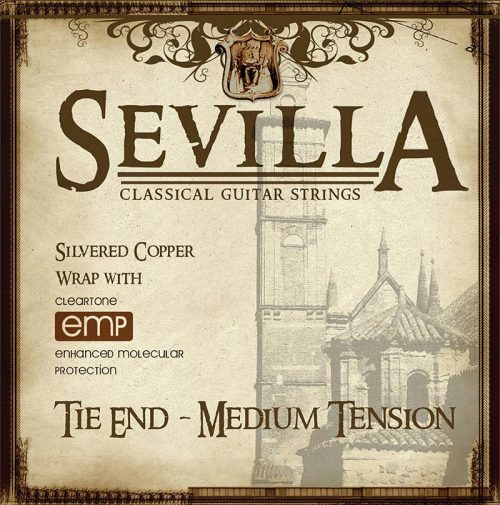 Sevilla Cleartone classical guitar strings. I really like these strings. They are bright without being overly so, and the mid-range is very full-sounding. The base strings are also rich and strong-sounding, and can really respond when you lean into them. I play a lot and have to change strings after about 4 weeks (one week extra than I get from most other strings.) Expensive but worth a try.